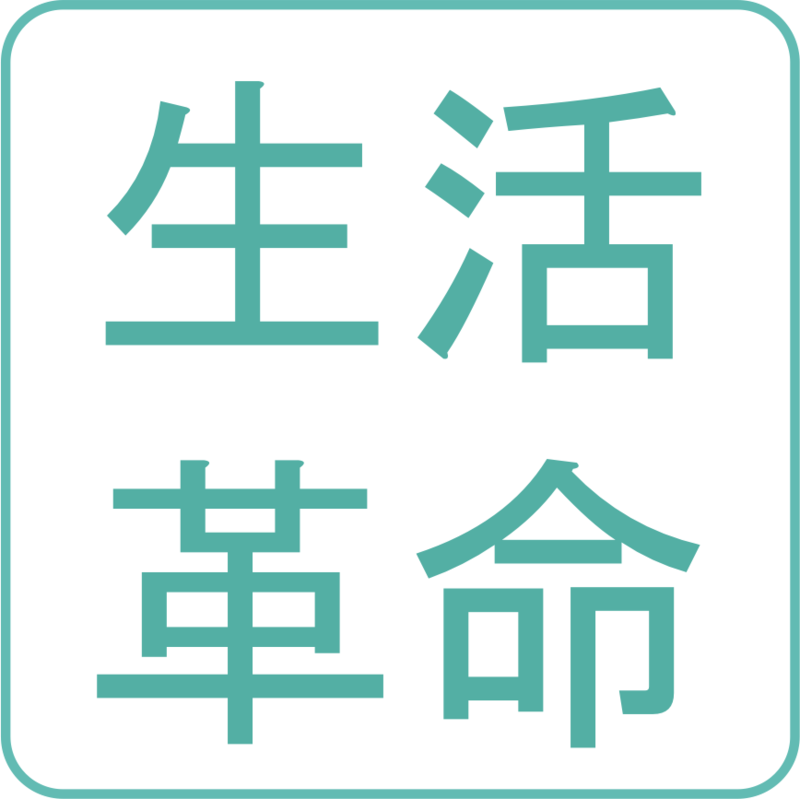 We at Seikatsu Kakumei were proud to participate in International Robot Exhibition (iREX) 2017 at Tokyo Big Sight, a showcase of the latest in robot technology from around the world. 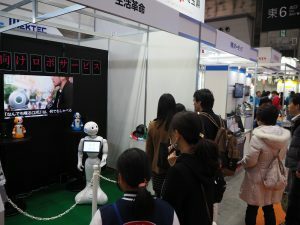 The event held a particular focus on service robots, along with AI, big data, and network development. 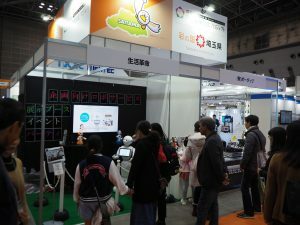 A record breaking number of over 130,000 visitors came over the course of the show, which took place from November 29 to December 2. 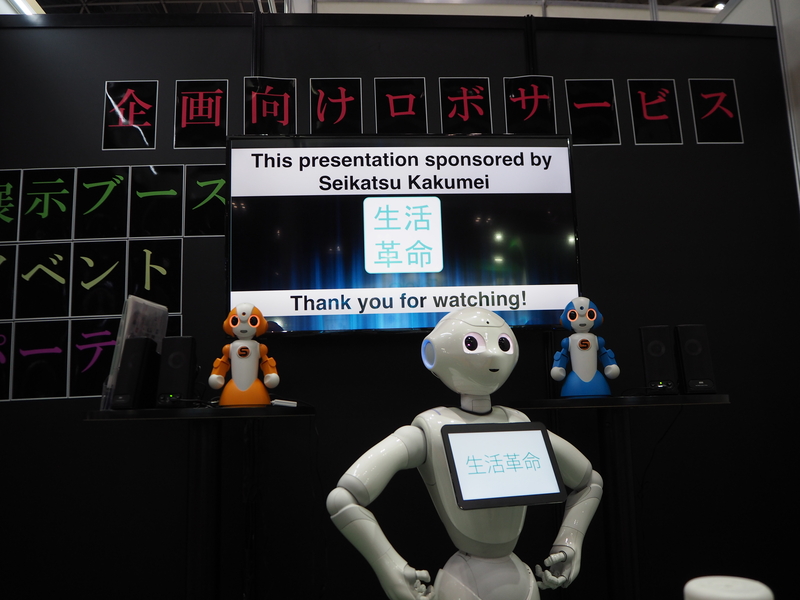 Alongside our staff stood Pepper and Sota, demonstrating their Robot Party Reception Service and business presentation services. They successfully captured the hearts of corporate representatives and robot enthusiasts alike, who stopped by our booth to watch and chat. Guests of all backgrounds were delighted by our robot presentations! We extend our sincere gratitude to everyone who came by to make this event a success. Thank you to everyone who made it to the event! Seikatsu Kakumei’s robotic technology can enhance your company’s next trade show appearance, too. Contact us today for a consultation! At Maker Faire Tokyo 2015, Limited Opening of Pepper Boxing Beta!